Recombobulating this site for Fall 2017! 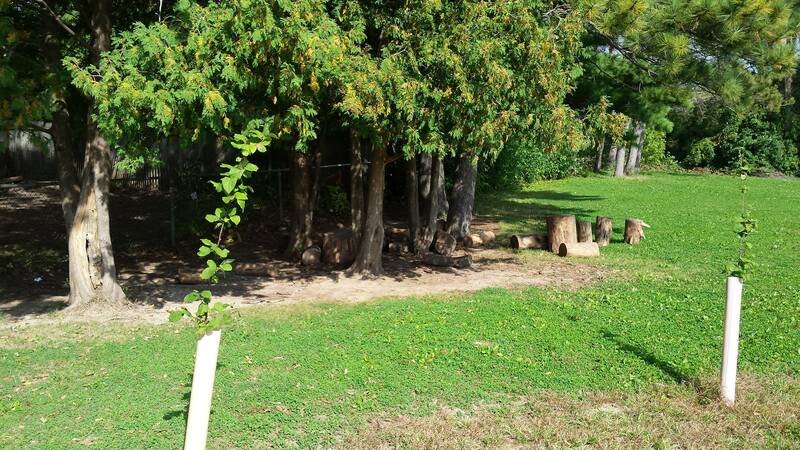 Since then, we added a shed, the new garden was installed near the playground, and countless hours of learning and fun have happened. 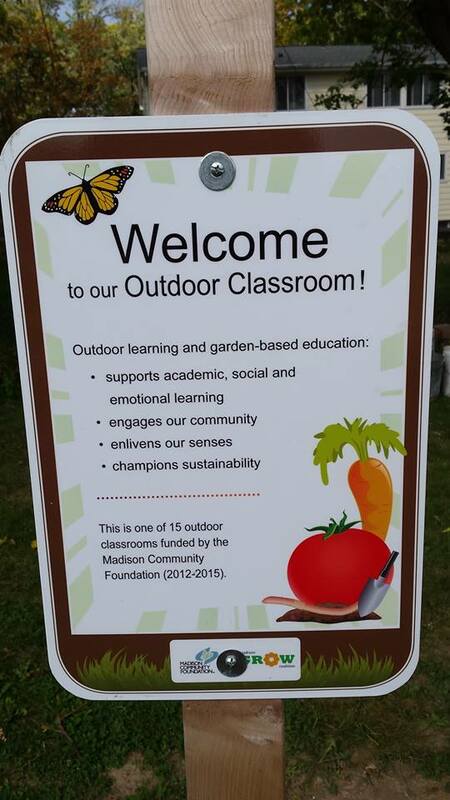 Believe it or not, a whole generation of kids has moved through our school with an outdoor classroom: The first group of VHE 5th graders who used the garden just graduated from high school. 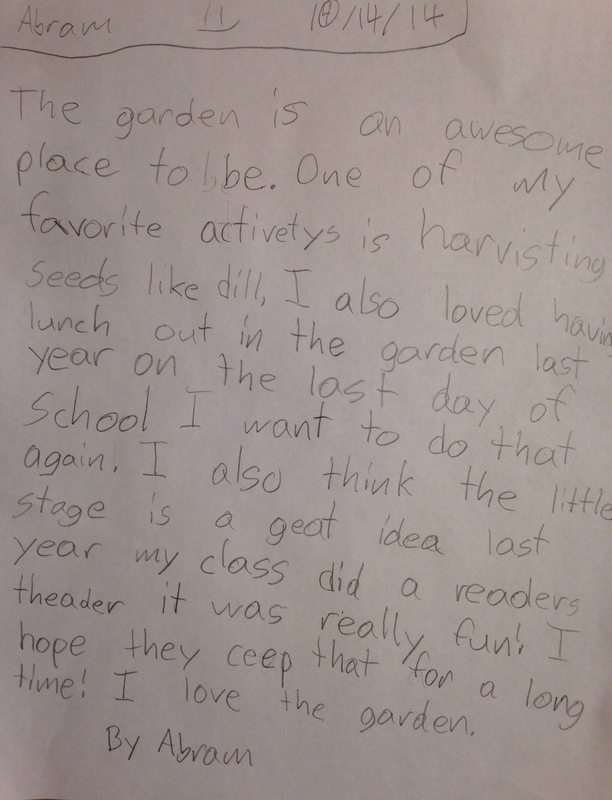 Both my kids have moved on from VHE, but this fall, I’ll return to teach 19 VHE kids for the after-school Fun in the Garden class each Monday, focusing on using a different sense each week. The kids will help post pictures here. Stay tuned! This fabulous garden mosaic will be installed on a wall of the new VHE/Hamilton library addition! The outdoor classroom, July 2014. 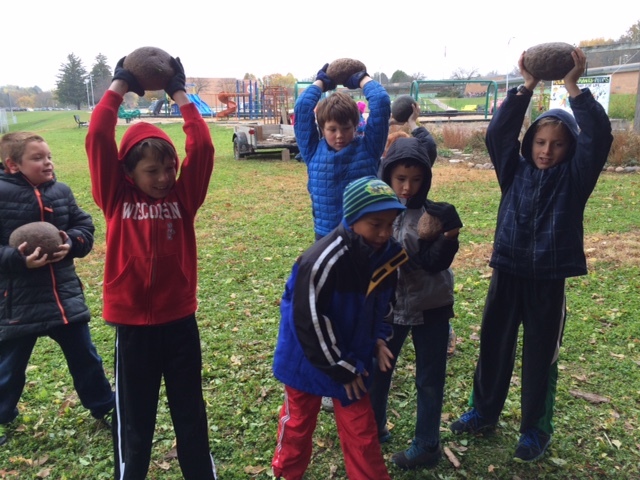 An action-packed Fall at VHE’s outdoor classrooms! A lot of activity has been seen out in the VHE outdoor classrooms lately! 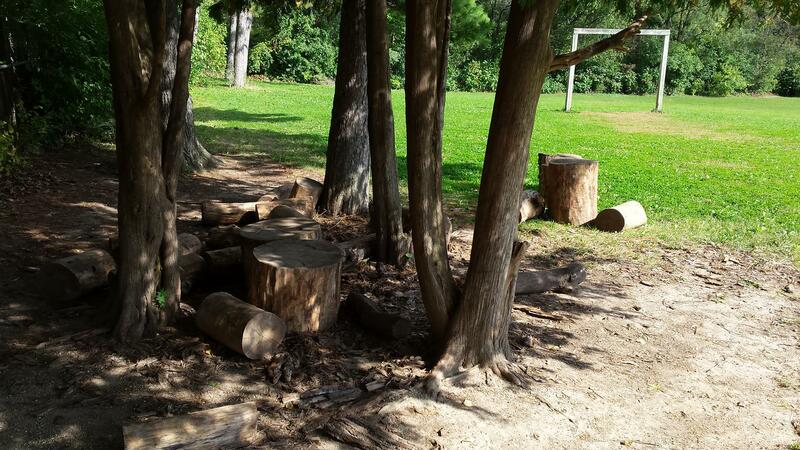 One of the goals we set out to achieve when we started our outdoor classroom initiative in 2010 was to have teachers incorporate outdoor learning into their regular activities. Guess what? Goal achieved. And then some! VHE students regularly spend time learning and playing in our outdoor classroom spaces, and our VHE teachers and Principal Peg Keeler have played central roles in embracing the opportunities. This week, fourth graders helped compost and install new stepping stones in the pollinator garden. Here’s Mr. C leading a composting effort. Go Mr. C! It’s essential that kids learn to use tools. It’s one guiding principle for VHE’s outdoor classrooms. Step stones as free weights. Guess who came inside after this activity and could focus really well? Here is a sampling of projects from Ms. Cantwell’s Art classes, full of nature references and materials. We love Ms. Cantwell! 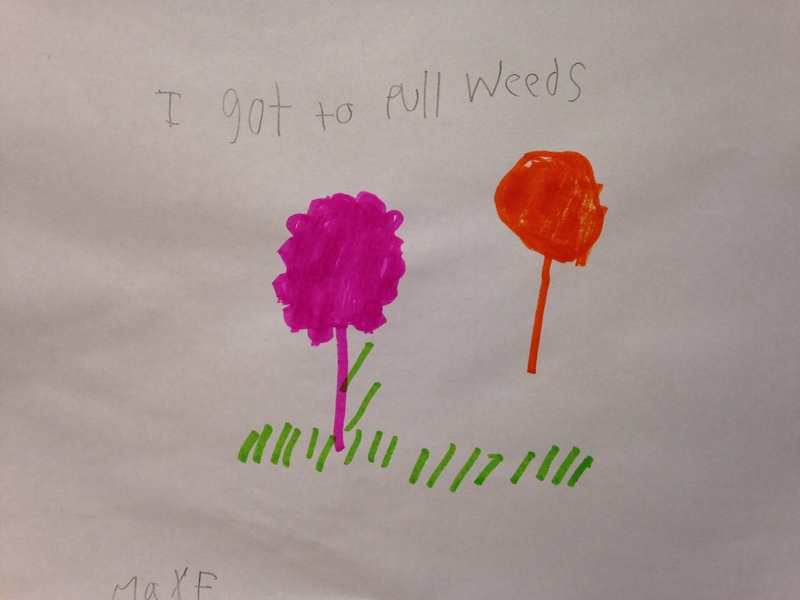 Kindergarteners are learning about color theory. Be sure to ask them about primary and secondary colors. 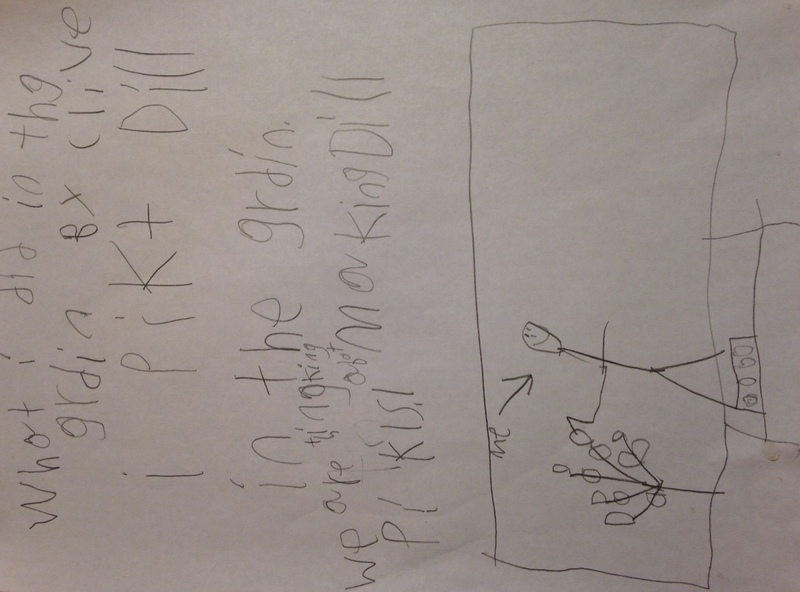 First graders are letting their imaginations take them to far off places with a Magic Treehouse project. Second grade is creating their first weaving from a beautiful collection of papers, which will prepare them for fiber weaving in the future. 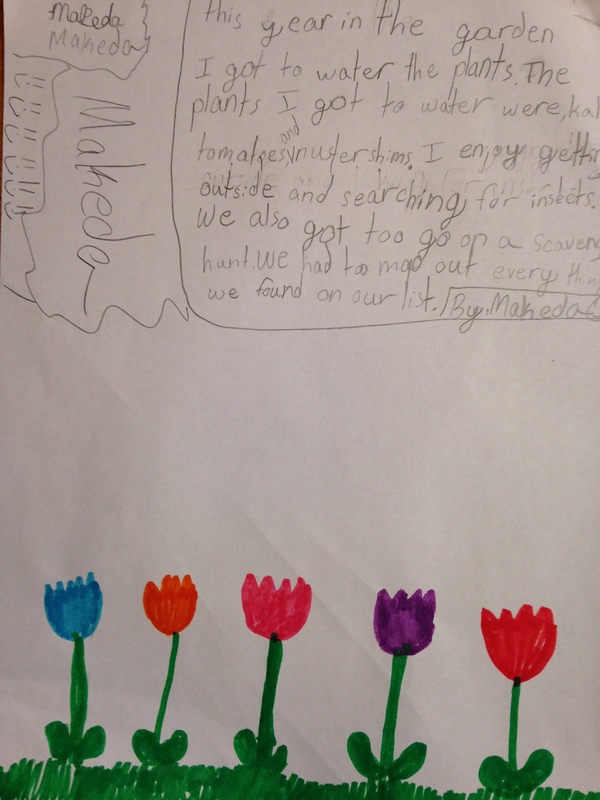 Third grade is starting an amazing project about a turtle that grows a garden on her back. 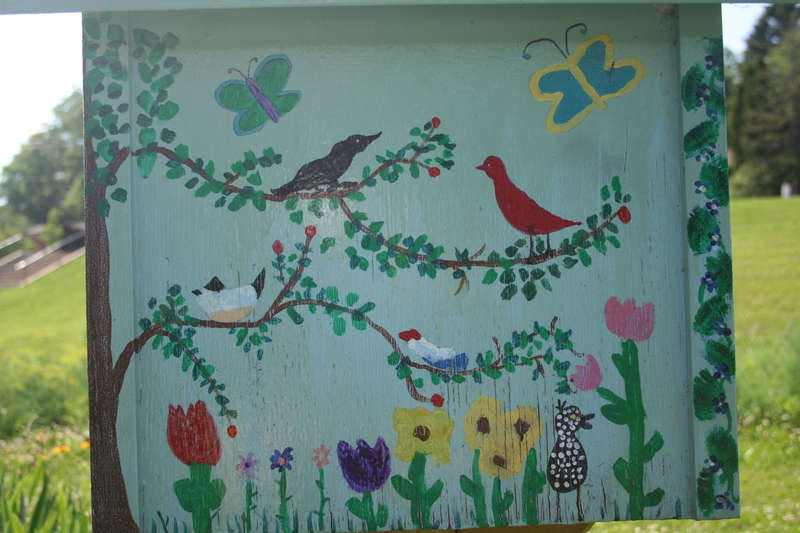 Their love of nature, artistic talents and patience makes this project perfect for this group of kids! Fourth grade just finished up mandalas and is staring to make dream catchers…ask them about the glow sticks role in this project. And fifth graders are learning about and creating their own Mexican Bark painting. This project ends up being one of great pride for students. Mrs. Cantwell also reports that the garden mosaic, guided by Artist/Gardener in residence, Megan Cain, is awaiting installation. 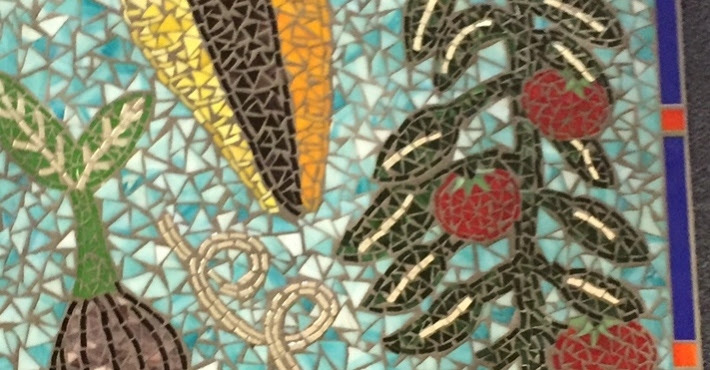 A close-up of the fabulous new garden mosaic that will be installed on a wall of the new VHE/Hamilton library addition! And more outdoor action from Mrs. Koval’s PE classes! She’s always getting the kids moving in new and exciting directions. We are FALL’in in love with being outside on these gorgeous autumn days! During Walk to School week, every 2nd – 5th grade class enjoyed walking and running on our 1 mile course which encircles the VHE campus. Our hearts and lungs got a great workout and we also discussed the mental benefits of exercise – growing brain cells, releasing hormones to help us in learning and helping us regulate our mood and energy level. 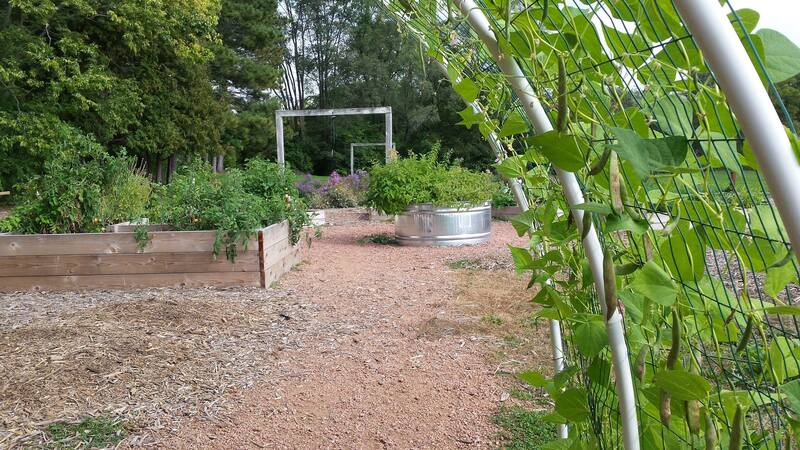 We also spent a week “harvesting the heart” by participating in functional fitness in the Waukesha gardens. 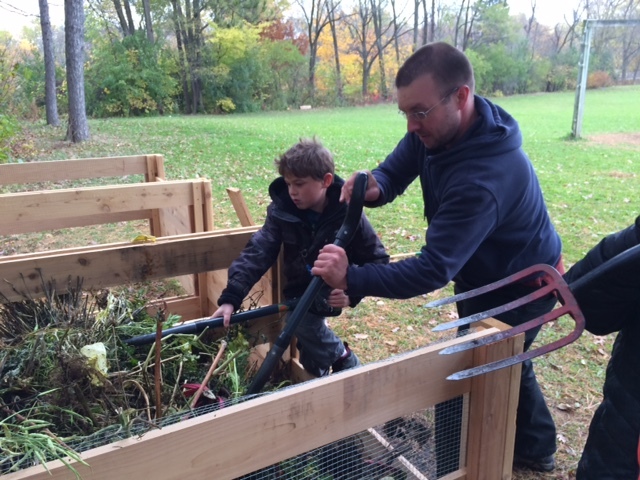 Students used their muscles to dig out old plants and weeds and haul them to our new compost bins (thanks Ms. Mahr’s family!) along with a few garden fitness stations to round out the class time. New garden space is thriving! Our new garden space is doing well! Through a grant from the Madison Community Foundation and support from the Madison Metro School District, families, staff and students installed a fabulous space north of Van Hise. Come out and take a look! 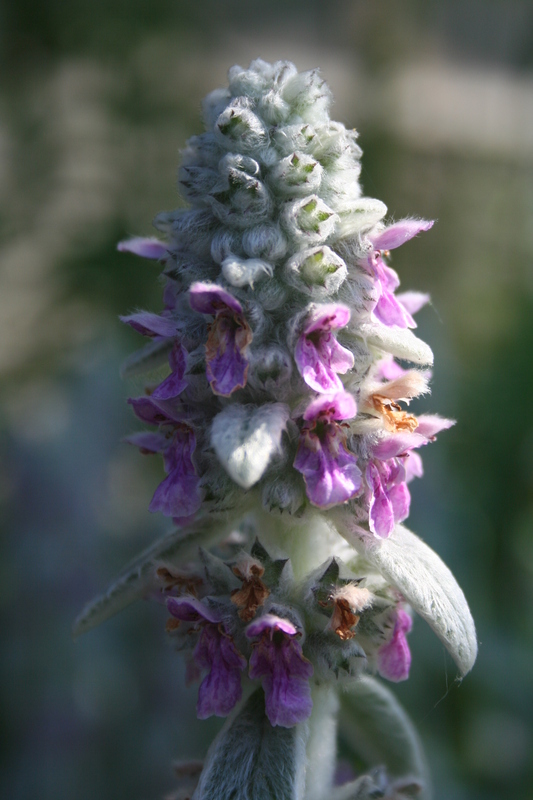 Perennials and edibles…all doing well! Shade and sun space with new and old trees. Kids need things to move around, to shape their own space. There is vertical action here…and look closely to find food! We are part of a bigger effort to Get Kids Outside! VHE rain garden definitely worth a look! The Van Hise Outdoor Classroom has a 700-square-foot rain garden that filters water from the roof and parking lots. 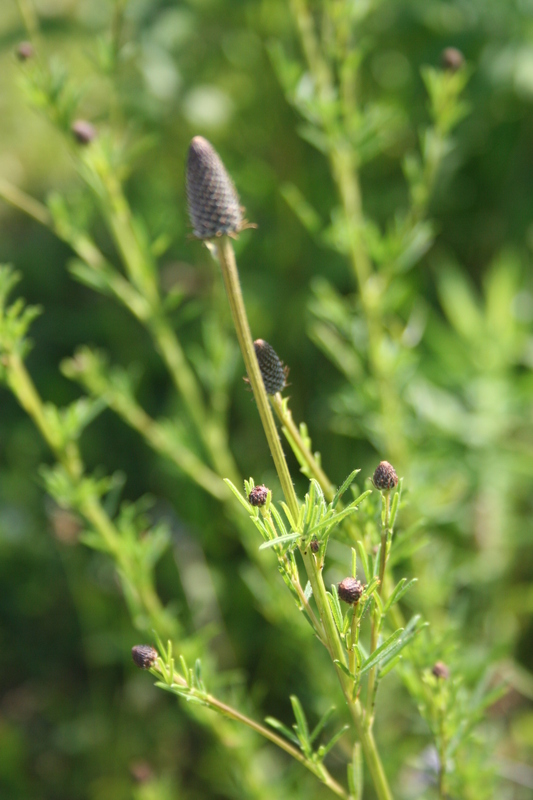 Plants native to Wisconsin were planted here. 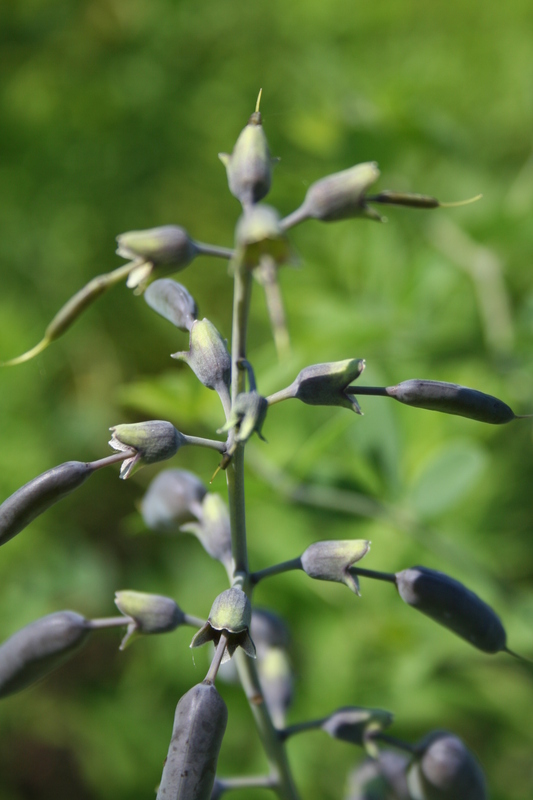 They do well with a lot of water (like this year) and can survive in drought, too. Why? 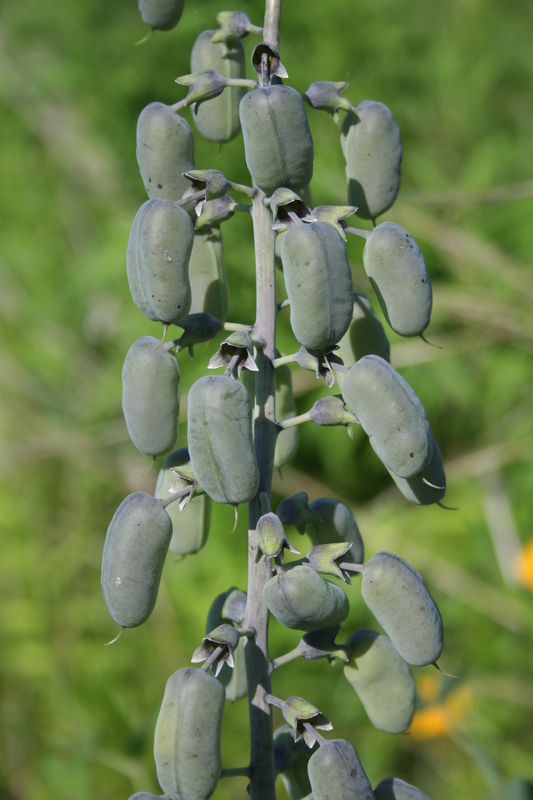 They evolved to have very deep root systems, and their leaves and stems hold a lot of water. 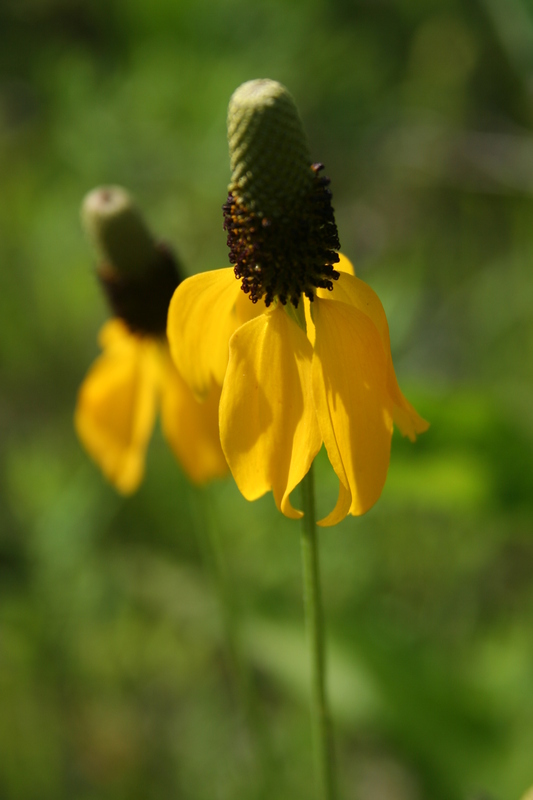 The rain garden has been getting a lot of what it needs this spring and summer! Today, there were a lot of great things to stop and see. It’s worth taking kids down to look closely at what they might find. 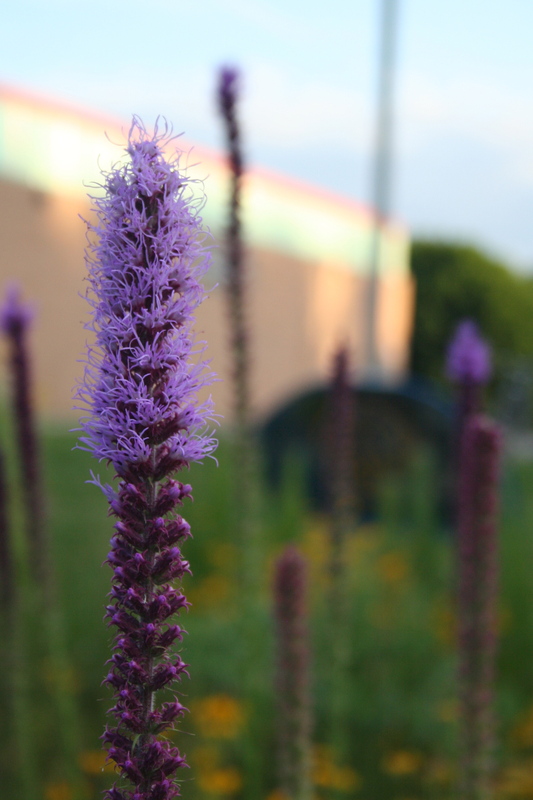 Some of these photos are not in rain garden. 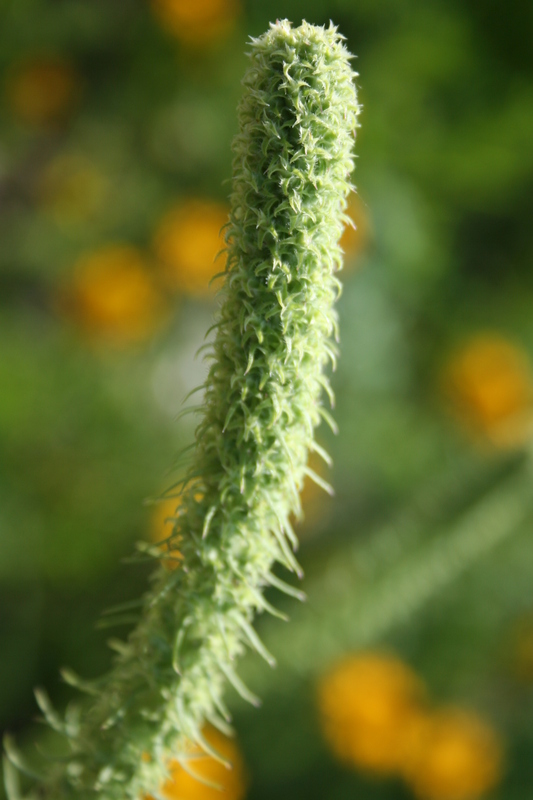 All the pictures here were taken today at the garden. Soon, the rain garden will also have a sign! That’s right. There is a sign all ready to be installed, paid for through a grant from the Friends of the Lake WIngra Watershed! 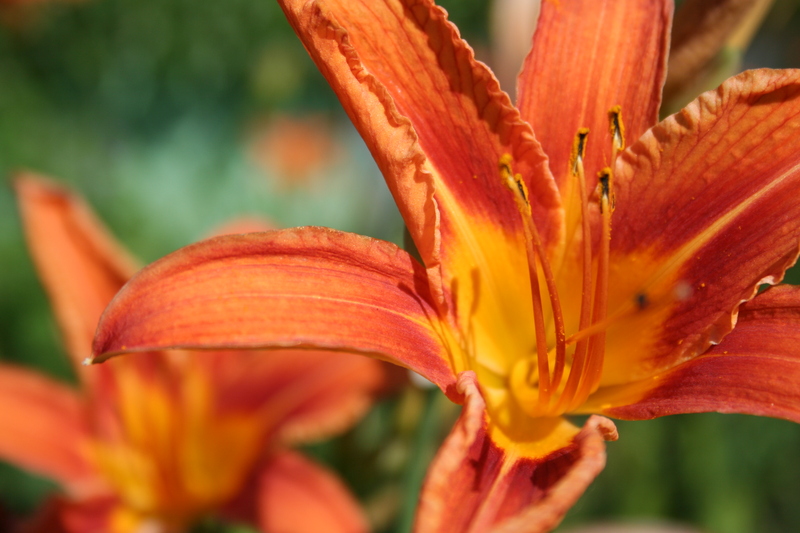 Tiger lilies outside the entrance to VHE. 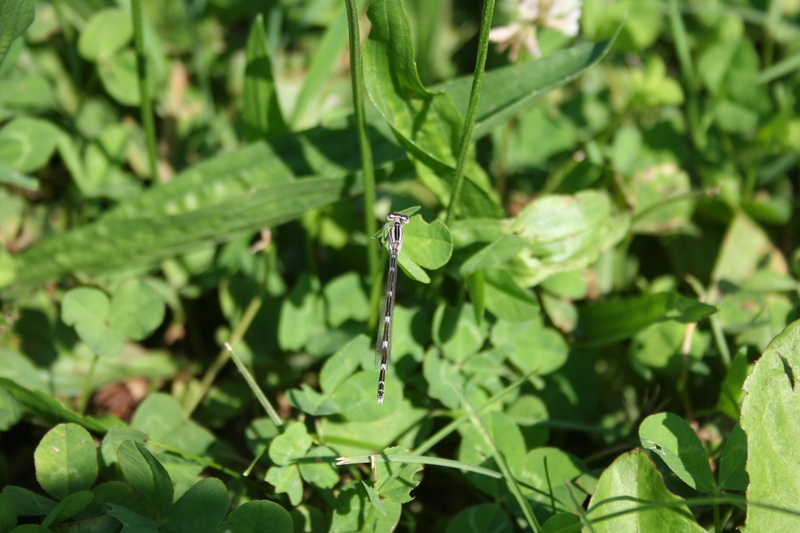 This little blue damselfly floated when flying. 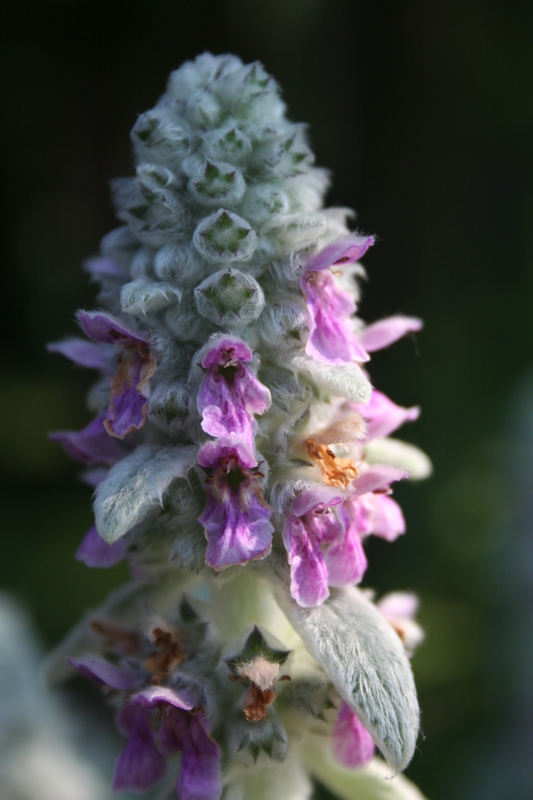 Lamb’s ear is just cool. 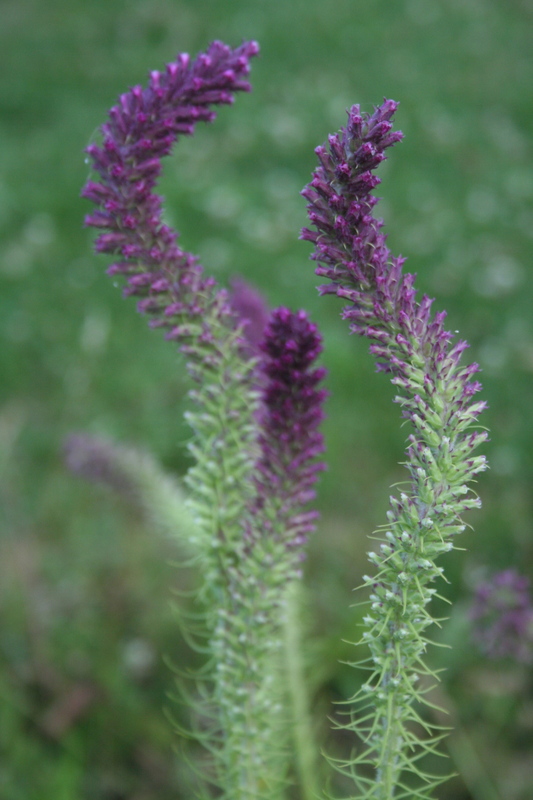 Purple prairie clover–touch the leaves and smell! In a couple of weeks, it will look like this! Garden clean up this week! Folks, it is that time again! 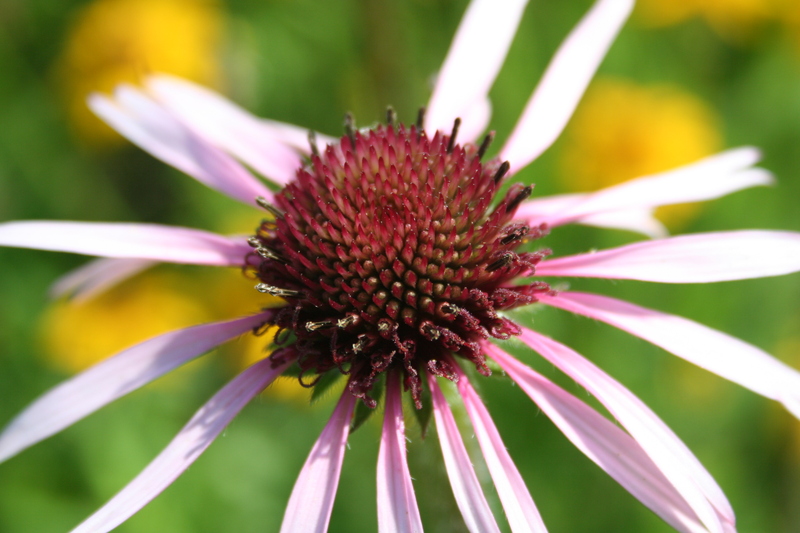 Mrs. Koval will take classes out to the garden space this week to prepare the garden for its winter slumber. 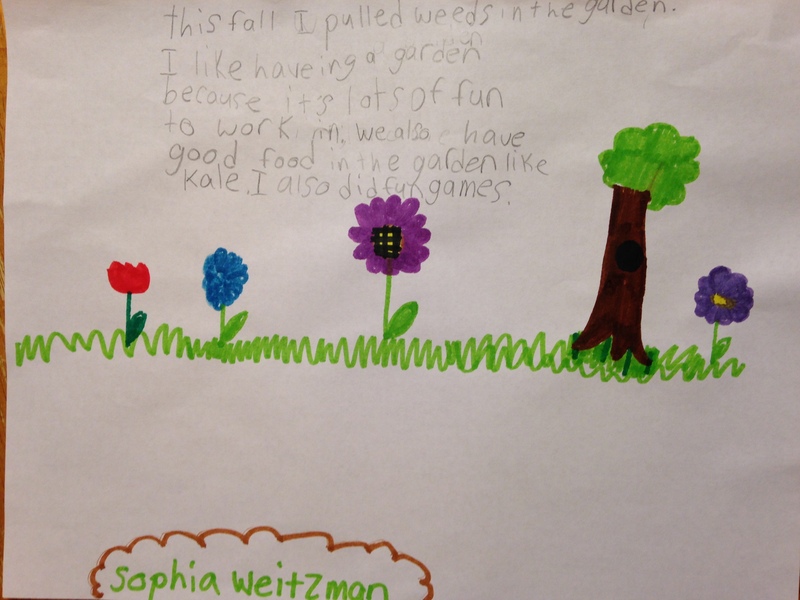 If there are things planted that you’d like everyone to leave alone, let Mrs. Koval know! 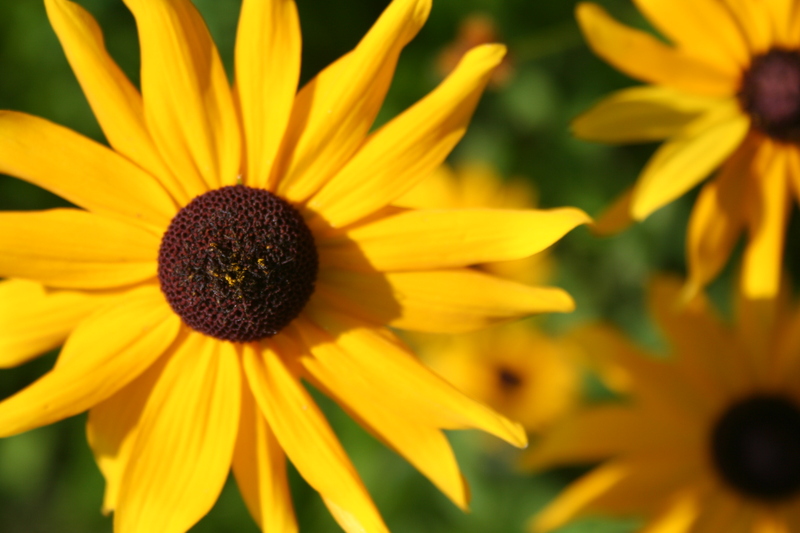 July is a great time to visit the Van Hise Outdoor Classroom! 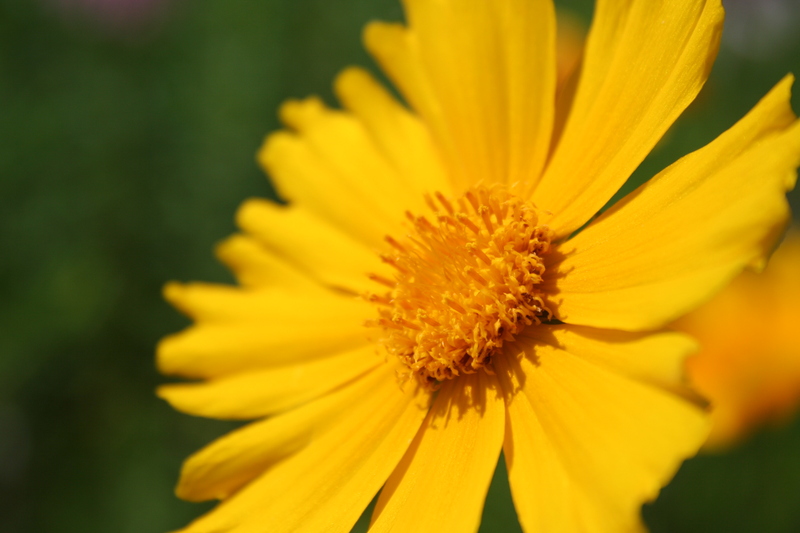 The lawn is freshly mowed, the weeds are largely weeded, and the flowers are coming in full swing. Stop in and take a look! 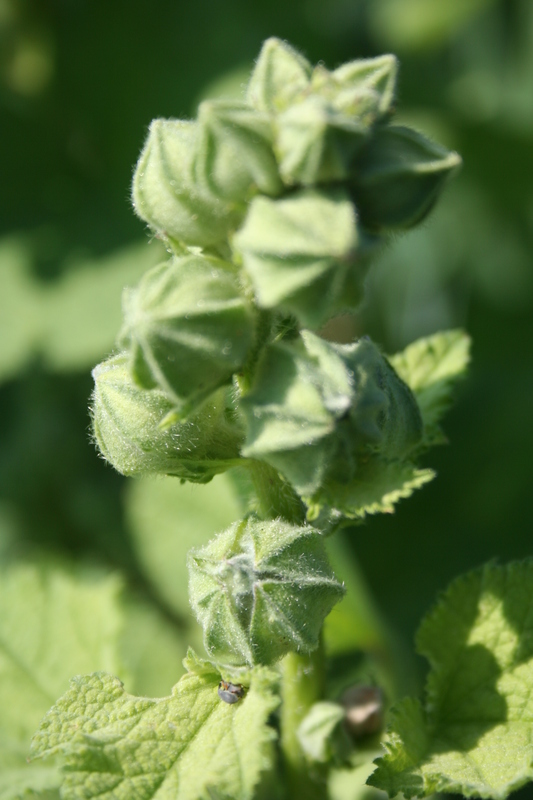 You’ll be able to find peas, mint, lemon balm, dill, oregano, and lots of nasturtium for your salads. 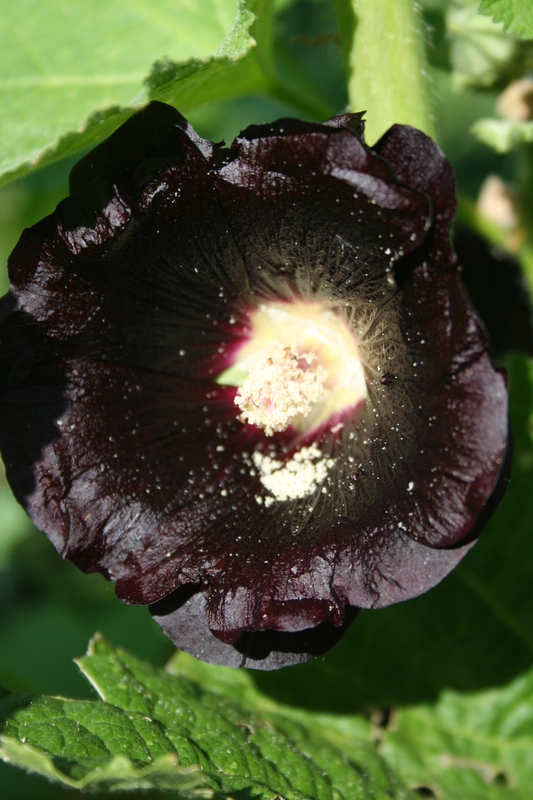 Notice the variety–a lot of squash blossoms, flowering tomatoes, and sunflowers shooting up. The rain garden is also doing particularly well this year. Why? BECAUSE OF ALL THE RAIN!! 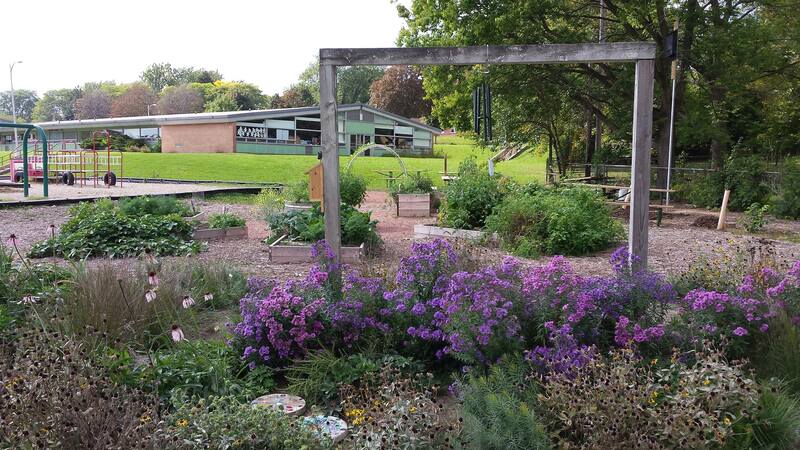 For those of you new to the school, there are drain pipes that transport the rain from the roof under the garden to the rain garden, a place where storm water soaks into the ground and is filtered by native plants with deep root systems. 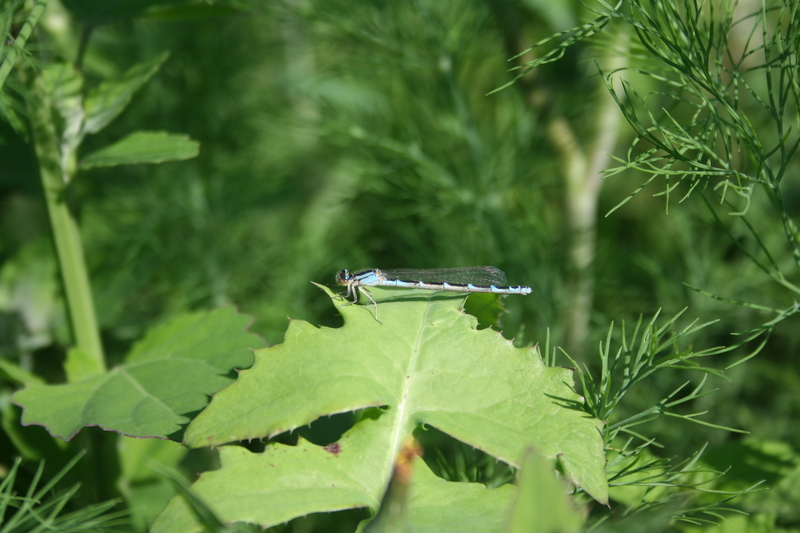 This keeps pollution down in our lakes. Here are some things to notice with your kids.